This week Forest dove deep into the depths of Netflix and found Blood Glacier. Cory takes on a film recommendation -- the no budget indie film Over-Sexed Rugsuckers From Mars. The Horror Duo also also chat about "Friends-Giving", the film Martian, selling vintage Teenage Mutant Ninja Turtles toys for big bucks. All this and Cory has become a home owner. 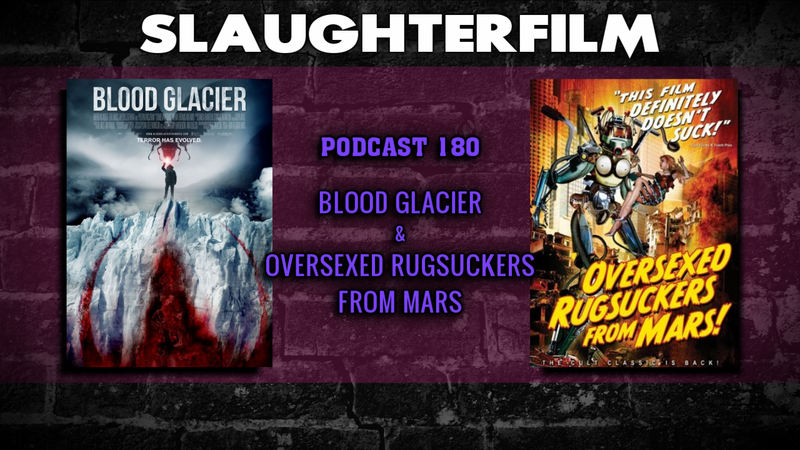 An official Slaughter Film studio is on it's way! For more Slaughter Film news and reviews, as well as show notes and special events, make sure to visit our website; SlaughterFilm.com.